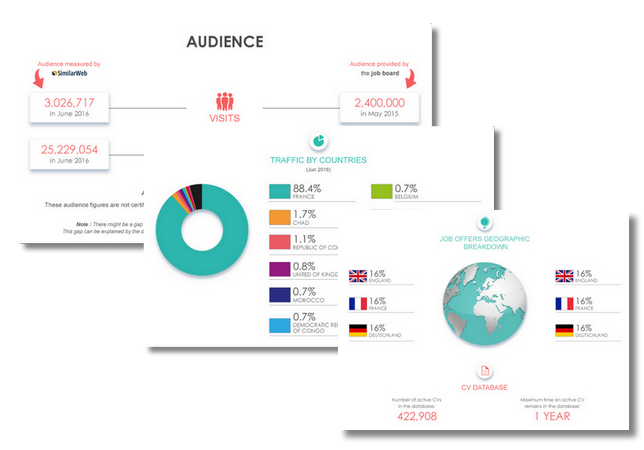 SEEK revolutionised the way people searched for jobs and found candidates. Today SEEK remains the leading employment site in Australia. Over the last 12 months SEEK helped to facilitate 26% of job placements in Australia, making us the clear market leader. Compared to a combined total of our online competitors, SEEK accounts for ~8 times the number of placements1. We have more than 30 million monthly visits and display approximately 70% of all online job ads. Summary: It’s easy to lose focus when on the SEEK website. They have so many different parts to their website and their business, different advice columns and various services, that it can become confusing if you are just browsing. They have videos, key figures about their history and their success, photos of the team, etc. It’s still incredibly easy to look for work on this national job board (including a slightly different page for New Zealand) so it’s no wonder it receives 17.82 million views per month and is the 27th most visited website in Australia! They provide so much information in the employment news (the articles aren’t in chronological order), the career advice (with articles targeting specific problem areas for jobseekers), the medium blog and a specific recruiter news section. It makes you wonder if their followers on Twitter (be they on the main page with 48 400 followers or the Geeks of Seek or the NZ Seek or the Seek Business page) actually have time to read it all. Oh, and they have just as many pages on Facebook (363 113 on the main page). So now that we know everyone’s writing and following, let’s see what the job offers are like on this 20 something year old job board. Design: The homepage gets straight to the point: update your profile if you are a jobseeker, post adverts if you are recruiting. The rest of the page is just the footer. The search engine (keywords, classification, and location) becomes an advanced search once in the job listing to include additional filters (the type of contract/hours and the publication date). The job offers in list form are clear and include the date (unless they’re featured) and the logo. Among the tools that users can access for a better service are the partner websites (other job boards), partner services (which include a freelance website and recruitment tools) and company pages. 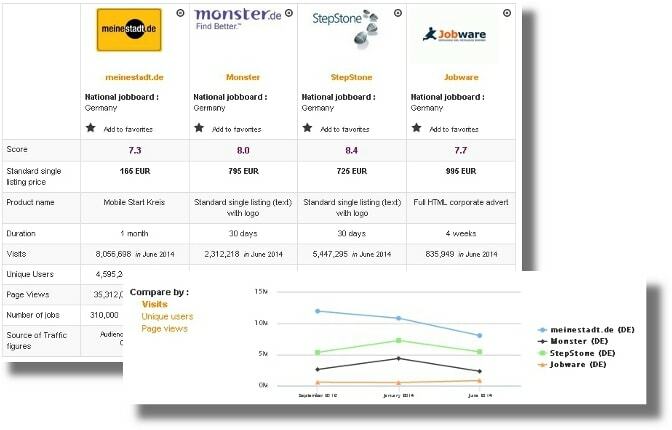 Ratings on companies and their offers (as well as reviews) give jobseekers an idea of what to expect. Finally, you can also browse through courses, businesses for sales and volunteering opportunities (at the top of the page) or even choose to view only $150k a year jobs. The job board objective: Seek is dominating the Australian market in job offers and other business ventures. Recruiter observations: It’s easy to create an account and Seek really does cater to every kind of recruiting need with a large variety of ad packs. When filling out a job advert, the website suggests sub-categories and offers advice every step of the way. It can also help set the salary (based on statistics from previous adverts) and the commission for your job offer. You can identify the advert as suitable for graduates. You can also pick a series of questions to include in the application process (questions about certificates and visa requirements for example). If you are a first time poster, your advert will be posted almost immediately. Otherwise, it takes about 3 hours. Jobseeker observations: Very easy to create an account. You pick your category and a sub-category that interests you and you then pick the visibility of your CV. If an employer rejects your application, Seek notifies you within 48 hours. The job offers: 171 501 job offers. Trades & services, healthcare, communication technology and manufacturing are the most popular categories but they all have hundreds, if not thousands, of job offers. Special features: The Youtube videos; TalentSearch; free cover letter templates; free resume templates; information about salaries and how they have evolved; job alerts; “guaranteed hire or your money back” ad pack; salary suggestions; the share price for investors (which has been dropping since September). Verdict: Seek, and ye shall find! Are you hiring in Australia? Are you looking for work? Then what are you still doing here: go to Seek! Login here for FREE to unlock access to the traffic audience, content and pricing section for more information on Seek. Thanks to seek I was able to benchmark my salary and find a new job. It didn't take me long at all. Seek also provides a lot of super useful templates for CVs and resignation letters.